It is one year since U Ko Ni, a prominent lawyer and advocate for constitutional reform, was assassinated in Myanmar. This was one of many incidents in 2017 that indicated a sharp decline in freedoms not only in Myanmar but also across South East Asia. U Ko Ni’s death is an example of how efforts towards democracy and peace are frustrated in Myanmar. This calculated killing came as a shock because U Ko Ni was known publicly as a legal adviser to the National League for Democracy (NLD), the political party of Nobel Laureate Aung San Suu Kyi. His death was condemned globally, from Amnesty International to the pages of The New York Times. The tragedy exposed the revolutionary nature of the call for constitutional reform in Myanmar. Efforts to change the constitutional order pose a threat to the military and its role in governing the country. U Ko Ni publicly and consistently called out the extreme difficulties of formally amending the constitution and advocated for a new constitutional order. He was also involved in the creation of the Office of State Counsellor, a position tailor-made for Aung San Suu Kyi. This position has legitimised her role as de facto leader of the government. Despite this, Aung San Suu Kyi herself remained strangely silent for an entire month after U Ko Ni’s death. Persistent calls for an independent investigation into the killing have been ignored. Four men have been arrested and put on trial in connection with the assassination. A fifth man, allegedly the conspirator and a former military officer, remains at large. The trial in Yangon drags on with little hope that the real reason for U Ko Ni’s death will be determined. In many ways, the reasons are all too obvious. U Ko Ni’s death was a targeted campaign against those most visibly involved in advocating for the end of military rule through constitutional change. U Ko Ni had often been asked whether Myanmar’s Constitution can be changed, and if so how. In his writings and public speeches, he spoke at length of the impossibility of substantially amending the constitution because it effectively requires the consent of military members of parliament. U Ko Ni's death was a warning to legal advocates involved in constitutional reform to back down. No challenge to the military’s constitution will be tolerated. U Ko Ni’s affiliation with the NLD and pro-democratic actors means that his death was also a warning to them. It was a stark reminder that the NLD government remains vulnerable without the protection of the police or military. The lawyer's Muslim identity in this majority-Buddhist country did not go unnoticed. 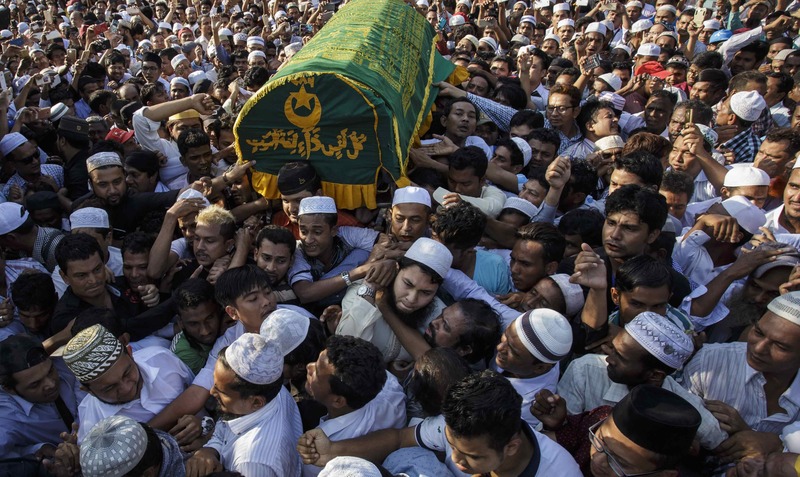 His assassination was felt deeply by minorities, both Muslims and other religious and ethnic minorities, who know the force of local Buddhist extremism only too well. U Ko Ni’s death was designed to silence those seeking to advocate for greater equality and protection for minorities. He made a major contribution to democracy in Myanmar. In the lead-up to the 2015 elections, U Ko Ni was one of few to publicly disagree with the NLD. A scare campaign against the NLD played the anti-Muslim card to discredit the party and its chances of winning. The NLD chose not to include any Muslims in their Central Executive Committee, and failed to field any Muslim candidates. More than one million people, mostly Rohingya, who previously held temporary identity cards were excluded from voting or running for office. This was blatant mass disenfranchisement. For U Ko Ni, it was not a free and fair election. The constitution offers no guarantees of a right to vote. Democracy was deeply compromised. U Ko Ni also made a major contribution to peace in Myanmar. Implicitly, by calling for constitutional reform, he was advocating for legal change rather than political violence. He, like many others, wanted to believe that the authority of law should trump resort to political violence. Given the histories of conflict and insurgency in Myanmar, this is a radical call. Of course, Aung San Suu Kyi and the president continue to suggest that constitutional reform is imminent. But at what cost? Another horrific spate of conflict in northern Rakhine State has left an estimated 6700 Rohingya dead. Another 650,000 people have fled, constituting the largest displacement of people in the region in recent history. Entire villages burnt to the ground. The alleged threat of terrorism cannot justify such atrocities. The suspicious arrest of journalists investigating the Rakhine conflict raises ongoing concerns about media freedom. U Ko Ni would never have sanctioned a deal for constitutional change at such a cost to the lives of so many vulnerable people. Like many of us, perhaps he is looking on through grief, pain and tears. This year, the struggle for democracy and peace in Myanmar will be carried on by others. Too many people’s lives depend upon it not to. Postscript: Tributes to U Ko Ni’s life can be found here, and an extended memorium here (also available in Burmese).